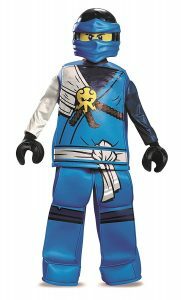 Lego Ninjago Costumes for Kids - Get the Best - Don't Forget Accessories! 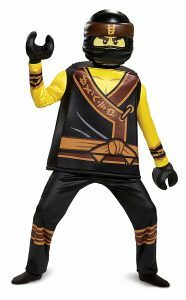 Lego Ninjago Costumes for Kids – Get the Best – Don’t Forget Accessories! If you child is into LEGO, there’s a good chance they like LEGO Ninjago. Before my sons started watching the TV show and asking for the Ninjago LEGO sets, I’d never heard of it. Now I know all the characters and the story line. 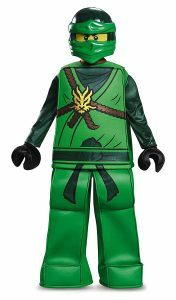 LEGO Ninjago costumes are very popular and in high demand around Halloween time. 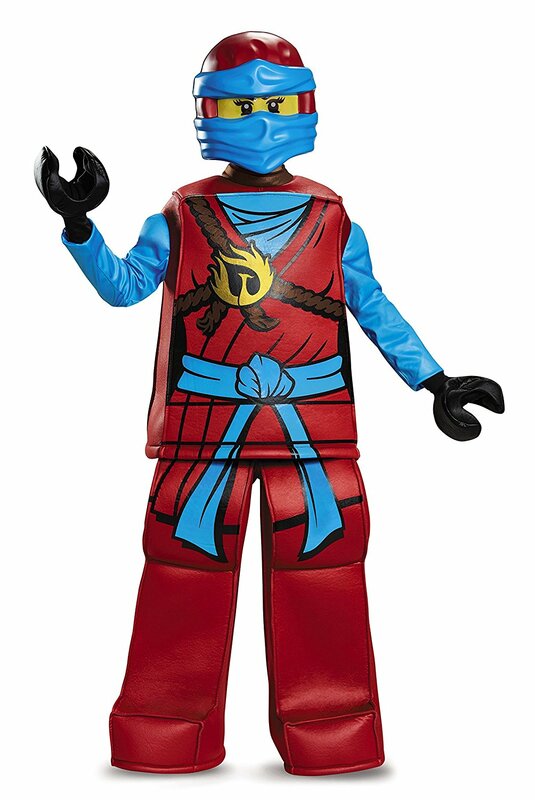 I’ve found that some of the younger kids who love Teenage Mutant Ninja Turtles move on to LEGO Ninjago costumes because they still like the ninja theme and accessories. 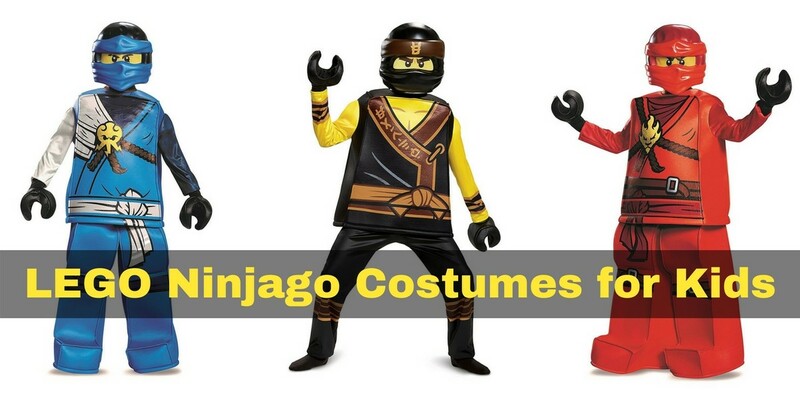 ⇒ Here’s a link to go straight to the LEGO Ninjago costumes to buy online. Click here. While it doesn’t have the immense following and history that other popular franchises have, LEGO Ninjago has become extremely popular among young boys and girls. It was first released in 2010, both as a line of LEGO toys and as an animated TV show. The basic premise is that four ninjas with the ability to control certain elements are trying to stop an evil mastermind. The TV show has released seasons as recently as spring 2017, so naturally they’re very popular for kids Halloween costumes. Who are the main LEGO Ninjago characters? This costume is Officially Licensed so you know you’re getting an authentic appearance. Jay is the blue Ninjago character. This is a genuine Licensed Product. It’s high quality and includes the mini fig pants just like a real Lego minifigure. For the price, Click Here. LEGO Ninjago Cole wears black. This costume includes pants but they’re not the block type pants. These pants are easier to run and move in. For an excellent price, Click Here. Zane controls ice and he wears white. This costume includes the Zane pants is the easier to move, non-block shape. This is an Officially Licensed product so you’re getting an authentic costume. See the price, Click Here. The green Ninjago character is Lloyd. Kids love getting the “real” LEGO pants for these costumes. For a great price, Click Here. If your daughter wants to dress as a ninja, Nya is one of the female characters in Ninjago. She dresses very similar to the other ninjas but slightly different colors. She is now a fully fledged ninja and she is Master of Water. She’s also Kai’s sister. For a great price on the Nya costume, Click Here. Where can I buy LEGO Ninjago costumes? The easiest way to buy your LEGO Ninjago costumes is online. All the characters are available and if you look at the Amazon Reviews, you’ll see a lot of happy customers. 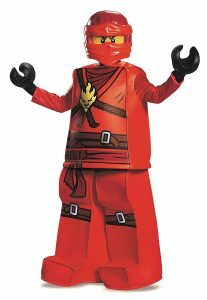 Most premade costumes include a blocky foam body with the respective ninja’s colors and symbols on them, and look just like the bodies of the LEGO minifigures. They also sometimes include gloves that make your hands look like the two part LEGO minifigure hands. There are masks that make your head look exactly like the minifigures that the costume is based on, with a mesh part that you can see through where the LEGO figure’s skin and eyes would be showing. There are costumes available for all four ninjas, as well as other side characters in the Ninjago universe. 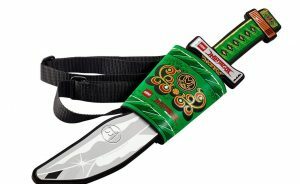 What are the accessories for each Ninjago character? Of course, you’d want to add accessories if you really wanted to complete your costume. Naturally, each of the ninjas has their own weapon that they specialize in using. So Kai uses a sword, Cole uses a scythe, Jay uses nunchucks, and Zane uses throwing stars. And there are many versions of these available in costume stores, some being made from plastic and others from foam, so kids can’t hurt each other with them. The accessories can vary a little, depending on whether you want the ones from the TV Show or the Movie. Also, you can either get generic looking plastic swords or swords that look like they’re from the show or the toy set. You can also get socks to match the color of the outfit your character wears, because they don’t typically wear shoes in the show. With all these Ninjago characters to choose from, you’ll definitely need to know which one is your child’s favorite. Don’t forget to get some matching socks or shoes in the same color as your character to really complete the outfit. 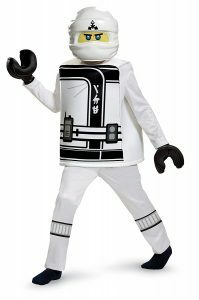 ⇒ Looking for more LEGO costumes? What about LEGO Batman from the movie – see here. This entry was posted in Costumes on August 31, 2017 by Cindy.